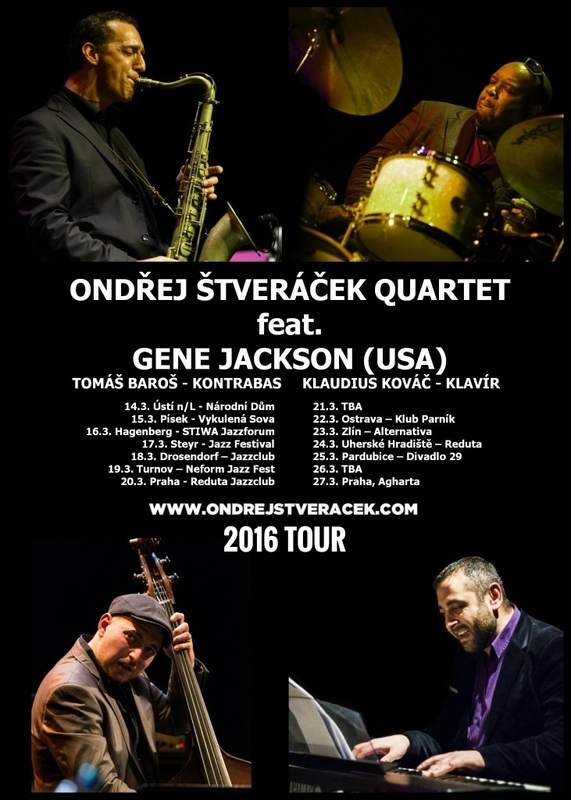 Prague-based saxophonist Ondrej Stveracek and his sterling quartet are a driving force in Central Europe's thriving jazz scene and the group's stellar outing on The Form, is more than ample testament to this claim. 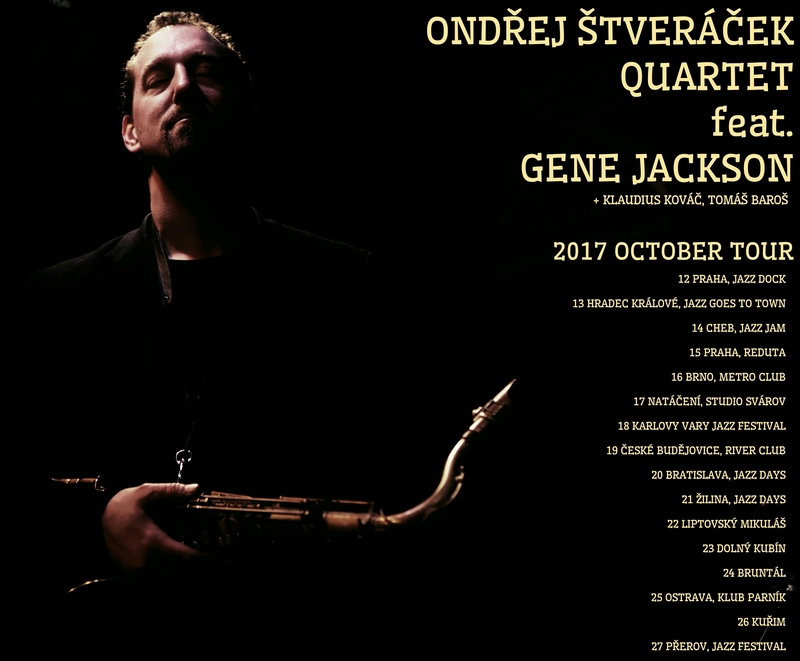 A young lion from the Czech Republic, Stveracek was inspired by the music of John Coltrane and, although drawn in by his style, he clearly distinguishes himself by developing a voice of his own. The album presents an audacious session of post-bop jazz where his own musical style and the approach on such pieces as the electrifying high-octane opening title track, provide further evidence of the drift from the Coltrane influence. Offering five originals of his own, the leader also incorporates five pieces from other members of the band for an album of creative and challenging all-new material. 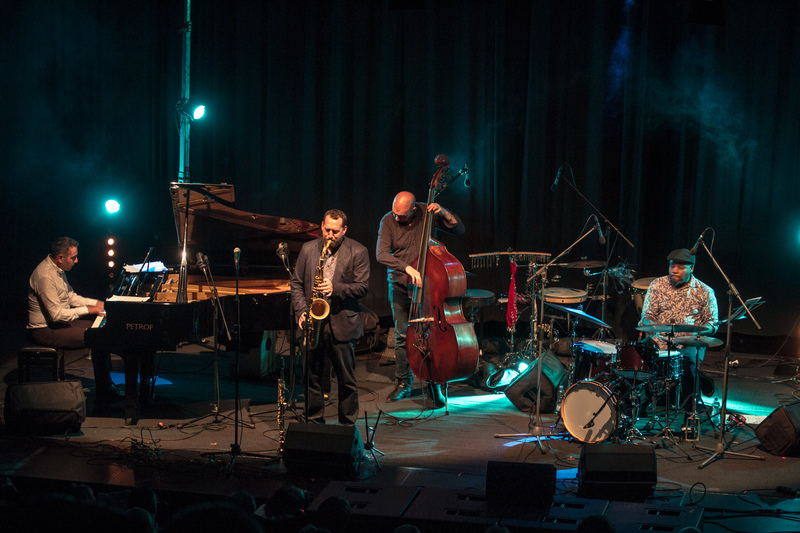 Except for American pianist/organist Brian Charette and guest tenor saxophonist Osian Roberts from Wales, the band is an all-Czech/European crew. There's plenty of standard mainstream material on the disc starting with the mid-tempo "Green Train" where the saxophonist's full-throated tenor romps lead the music which features pianist Charette, drummer Marian Sevcik and guest trumpeter Miroslav Hloucal on flugelhorn. Accompanied well by the pianist and bassist Tomas "Kastan" Baros, Stveracek delivers some of his best tenor solos of the disc on the upbeat and gyrating hard-bop piece "Sasha," then turns soft and mellow displaying the warm side of his playing on the beautiful and balladic "Ilana," another tune in which both pianist and bassist are pronounced. The following "Three Lights" provides stark contrast as the saxophonist goes off on one of his many torrid solos but still leaves plenty of solo space for Charette, the composer of the tune, to weigh in. The somewhat Avant-garde or free styled "Story Of The Last Falling Chestnut Tree Leaf," is a departure from the main theme of the album and seems disconnected but perhaps demonstrates the artist's ability to branch out in another genre. Shifting gears again, the dynamic "Shifting On" gets the music back on track, this time with a truly modern jazz number highlighting the amazing pounding and cymbal crashing prowess of drummer Sevcik, while the pianist plays a superb melody line. On the Hloucal piece "Nervous Breakdown" and the Roberts tune "Major Minor March," the Stveracek Quartet augments the horn section to three (Roberts and Hloucal) turning the group into a sizzling quintet. The music ends in the same style as it began performing another burner with the hard-driving "Next Page" providing one last vehicle for the saxophonist to highlight his more than appreciable chops on the instrument. Laying down a hot session of swinging modern and mainstream material on The Form, the Ondrej Stveracek Quartet from the Czech Republic proves to be one mean jazz machine. Simply put, Stveracek is an exceptional player who surrounds himself with exceptional talent marking The Form, as an exceptional outing. Track Listing: The Form; Green Train; Sasha; Ilana; Three Lights; Story Of The Last Falling Chestnut Tree Leaf; Shifting On; Nervous Breakdown; Major Minor March; Next Page. Personnel: Ondrej Stveracek: tenor saxophone; Brian Charette: piano; Tomas "Kastan" Baros; Marian Sevcik: drums; Osian Roberts: tenor saxophone (1, 8, 9); Miroslav Hloucal: trumpet (6-8, 10), flugelhorn (2, 9). Ondrej Štverácek’s thunderous tenor sax recalls ‘new breed’ reedmen like Steve Grossman and Dave Liebman who honed their sound in the billowing wake of John Coltrane’s legacy. It is impossible not to hear echoes of the icon in this young Czech lion - a whole-horn, sound-for-its-own-sake approach with chops to support any idea that occurs - but he is clearly on his way to a more original concept with What’s Outside. On “Out-Sight” and Coltrane’s “Africa” Štverácek nearly melts the remaining varnish from his faded sax, taxing his reed with overblown immediacy while “Weaver of Dreams” reveals a gentler side; unlike his idol, he eschews ‘shaggy-dog’ storytelling in favor of succinct, songserving narratives.